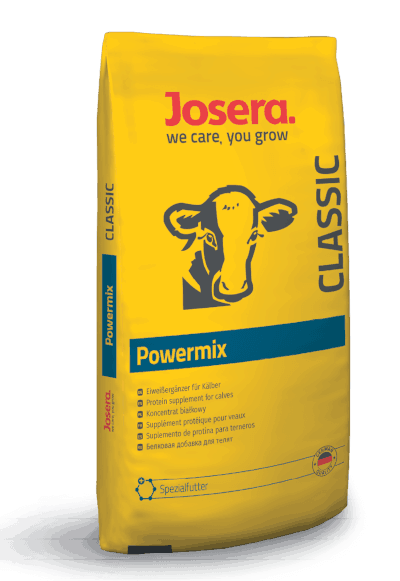 JOSERA IgluVital is our premium milk replacer in newborn quality. 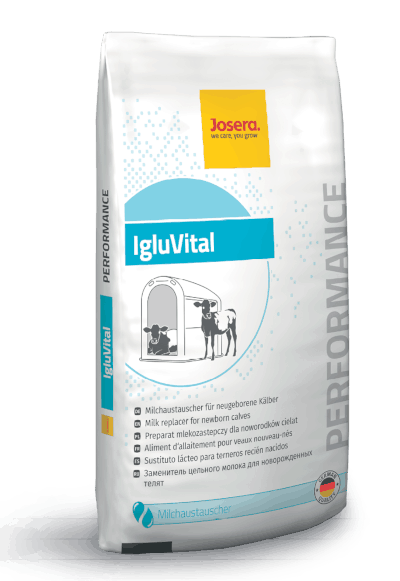 IgluVital is especially developed for the sensitive digestion of calves in the first weeks of life. Brillant contains skimmed milk powder. 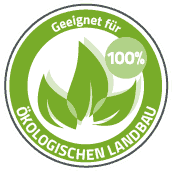 It is one of the outstanding milk replacers for an excellant rearing performance and lifelong advantages. 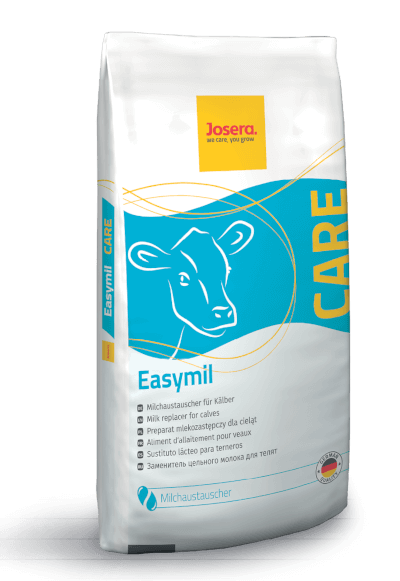 JOSERA Easymil is a special and stable milk replacer for the use in bunk / automatic feeders for a secure rearing and simple feeding. 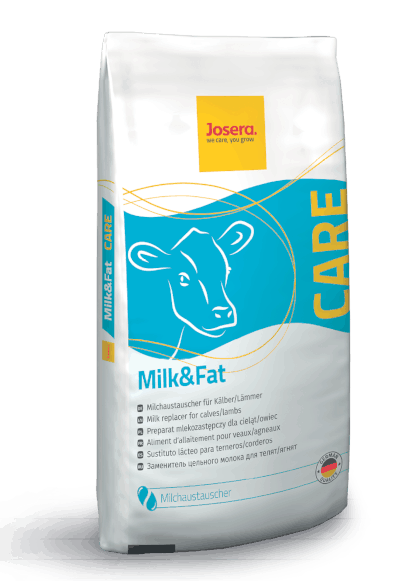 Thanks to easy use and the skimmed milk powder content, JOSERA Milk&Fat is the ideal milk replacer for intensive rearing. JOSERA Kälber-Profi is the ideal companion for calves with their special and unusually high demands in rearing. 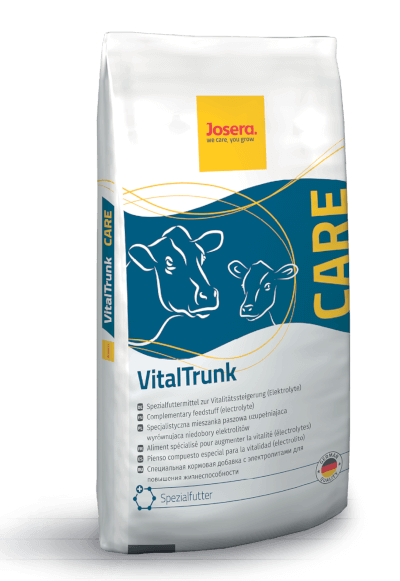 JOSERA VitalTrunk is our special high quality feed that can be used for calves as well as dairy cows. JOSERA FE-Trank is a cost-effective milk replacer with effective diarrhoea protection and valuable dietary components. 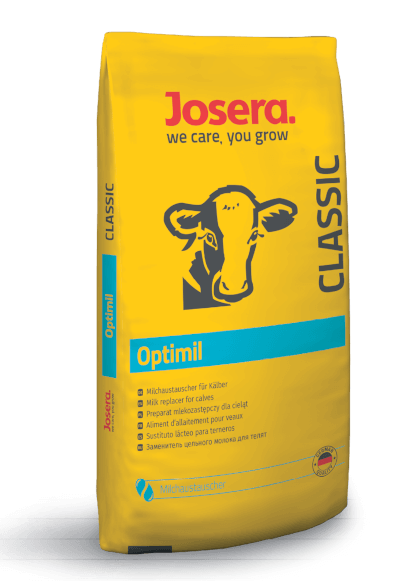 Thanks to highly digestible proteins, JOSERA Optimil is our low-priced milk replacer for excellent rearing performance and beautiful calves. JOSERA Supramil is the solution for cost-effective and reliable rearing thanks to high quality whey and plant proteins. 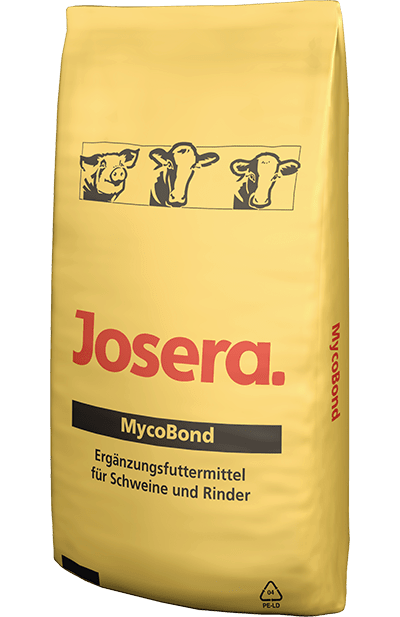 A high quality starter muesli that leads to early rumen development and therefore prevents a growth slump. 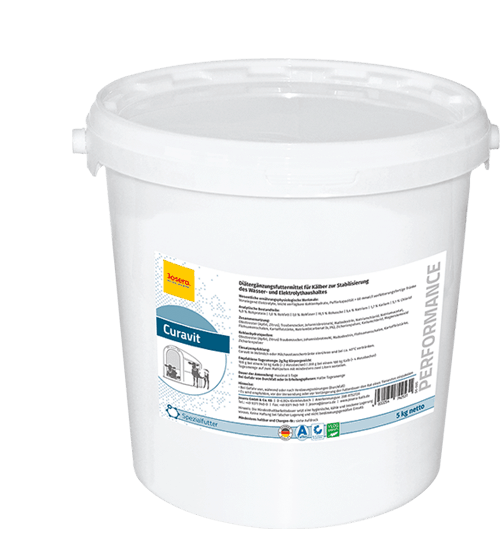 A high quality protein source that promotes rapid rumen development and shortens the drinking phase. 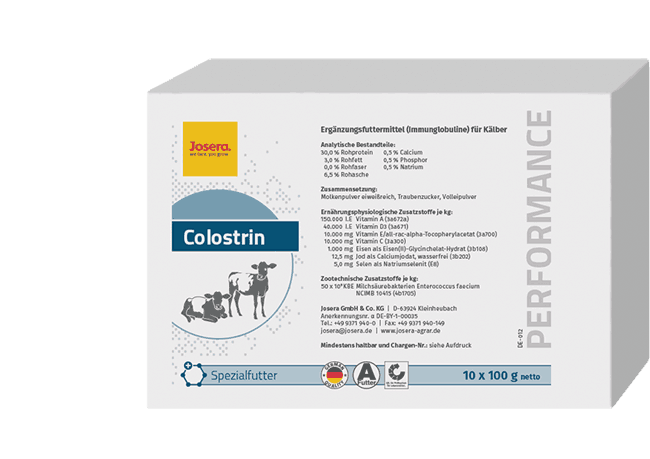 JOSERA Colostrin contains immunoglobulin to strengthen the immune system. Therefore it is the ideal addition in the drinking phase. JOSERA Curavit is our solution to diarrhoea in calves, effectively stopping it and preventing dehydration. 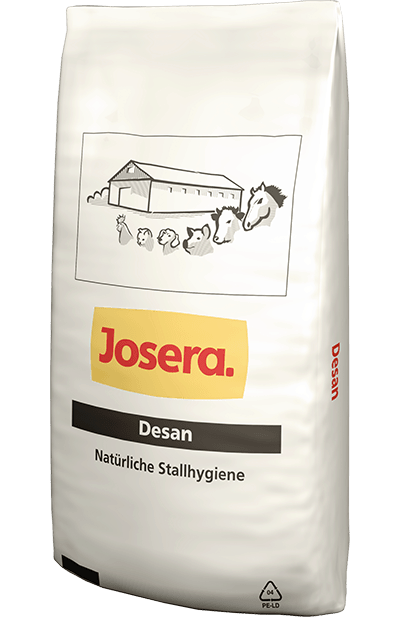 JOSERA Desan is the ideal organic solution to reduce pathogen pressure and improve barn hygiene. 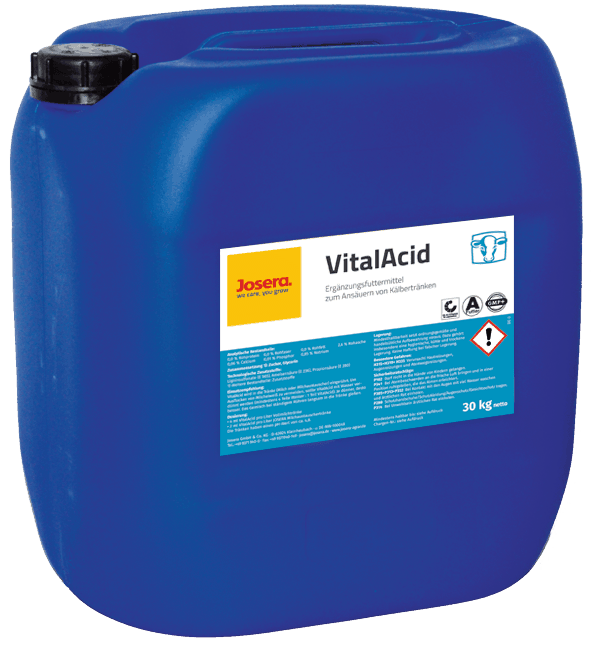 JOSERA VitalAcid is a liquid feed supplement for acidification of your liquid calf diet.